Hyundai will launch its all-new Azera in the Middle East’s large sedan market in May, building on more than 30 years’ experience to set new standards in a highly competitive segment. The new Azera is the sixth generation for the model, also called the Grandeur in Korea, since its launch in 1986 as the Hyundai brand’s original premium car. Each generation has offered high levels of comfort and equipment, generous interior space for driver and passengers, and progressively more sophisticated engineering, a statement said. “The new Azera clearly sets its own path in terms of design,” said Mike Song, Hyundai’s head of Operations for Africa and the Middle East. The front of the car carries the largest version yet of Hyundai’s latest signature design element, the Cascading Grille. In April, the all-new Azera won a prestigious Red Dot award for ‘high design quality’. The Red Dot awards recognize excellence in product design across a wide range of industries, with the Azera one of two Hyundai models achieving recognition in the transportation design category in 2017, alongside the i30. Advanced technologies include wireless charging for mobile devices, power trunk, and premium Nappa leather seats. A seven-inch display houses the Around View Monitor and fronts an audio system loaded with Android Auto and Apple Car Play – included as standard in global markets. 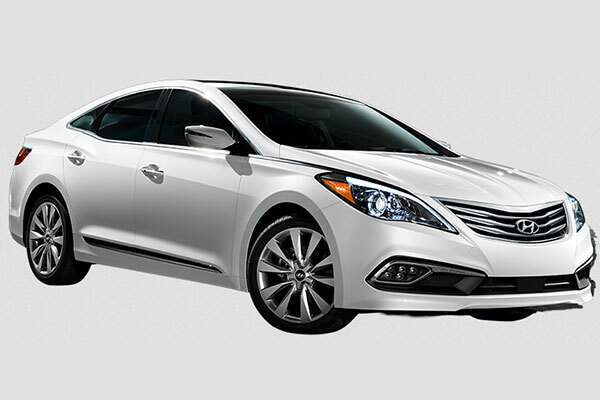 Additionally, a memory seat and a panoramic sunroof further enhance the Azera’s comfort and convenience. The new model boasts Hyundai Smart Sense, a comprehensive Advanced Driver Assistance System tuned for driver safety, which includes Autonomous Emergency Braking, Lane Keeping Assist, Active Blind Spot Detection, Driver Attention Alert, Advanced Smart Cruise Control and Around View Monitor. All of this will be matched to a powerful engine, ensuring the All-new Hyundai Azera has the performance to match its exceptional design. For the Middle East, Hyundai will offer a 3.5-litre V6 producing 240HP. It is a specification unique to this region and a demonstration of the confidence the company has in the new car’s market potential.